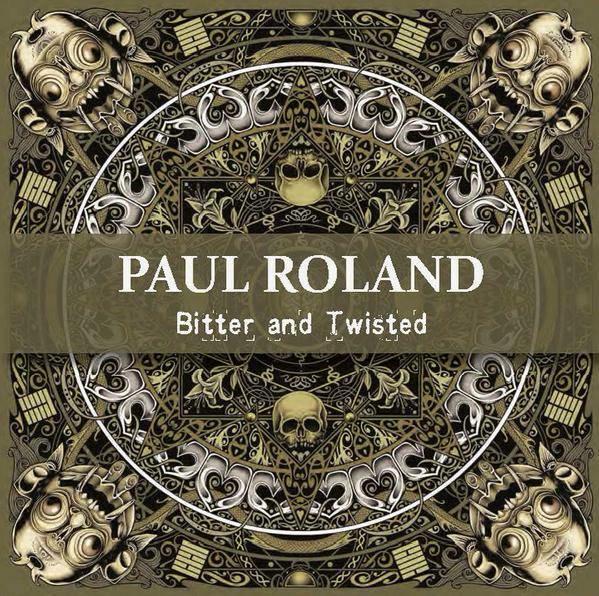 For 35 years, British singer, song-writer, musician and author Paul Roland has been recording his distinctive brand of Psychedelic-Pop, Gothic-Psych-Baroque, Dark-Folk, Prog-Psych, and you name it cross-section of these styles. Bitter and Twisted is his latest, offering up an assortment of merry tales running a gamut of twisted topics. There’s lots of variety here so I’ll give you the nickel tour of Bitter and Twisted’s 13 songs. Right out of the chute we know this is going to be a fun set with the opener, I’m The Result Of An Experiment (Which Went Hideously Wrong), a high energy rocker about a bad plastic surgery outcome. Paul has a solid backing band in Mick Crossley on guitars, Joshua Roland on bass and Violet the Cannibal on drums. I like the ambient trip guitar on Dali’s Dream. Hugo is a beautifully arranged Pop-Psych song with chamber ensemble bits that inject a lilting darkness into this tale of a ventriloquist and his psycho dummy (the image of the pair on the promo CD is freaky and I’m trying to think of what movie it’s from). Paul crosses good time Psychobilly with Morricone Western on Devil’s Jukebox. The Psychedelic Western themes continue on Another Me, an eerie tune about the whispering voices of one’s doppelganger. This tune takes more of an instrumental stretch-out liberty than most of the songs as it veers into Prog-Psych territory with trippy guitar, organ and strings. We’re treated to more Prog-Psych on the title track, which covers an impressive variety of thematic ground in less than 3 minutes. Paul’s voice sounds cool and freaky when he warbles “Are we naught men?!”. Love those searing guitar licks combined with acoustic guitar too. Catatonic is a dirty bar Blues rocker that’ll make you run for the liquor cabinet. I’ve Been Hearing Voices is one of my favorite songs and the longest of the set, being a beautiful and haunting Folk-Psych-Prog song that blends medieval, Eastern, and orchestrated elements. And once again we hear really cool ripping electric guitar solo sounds, which go great with the strumming acoustic guitar, blending Acid-Psych and medieval Folk themes. Zanti Misfits is a chunky punky rocker inspired by an old Outer Limits TV show episode about insects with human heads. William Bonny’s Trigger Finger has, not surprisingly, an old time Country feel, though Paul’s vocals keep it all firmly in Roland land. Professor Feather features dreamy acoustic and lightly orchestrated Folk-Psych. The aptly titled Born In The 60s is a rousing rocker that cries 96 Tears and heads to Monterey. And Insulted is a bouncy Folk-Pop-Psych song that wraps up the main set. There are also 5 bonus tracks, including alternate versions of Hugo and Zanti Misfits, an acoustic demo of Devil’s Jukebox, and two songs not on the album: an outtake of Soddom and an acoustic demo of Candyman. Overall, a fun and impressively varied set of well-crafted, performed and arranged songs.